The decorated sandals worn by prehistoric southwesterners with their complex fiber structures and designs have been dissected, described, and interpreted for a century. Nevertheless, these artifacts remain mysterious in many respects. Teague and Washburn examine these sandals as sources of information on the history of the people known as the Basketmakers. The unique sandals of early southwestern farmers appear in Basketmaker II and reach their greatest elaboration with the complex fabric structures and colorbanded designs of Basketmaker III. The appearance of this footwear coincides with the transition to fully sedentary maize agriculture. The authors address the origins of these sandals and what they may reveal about population movements onto and around the Colorado Plateau and about the cosmology of early farmers. Lynn Shuler Teague retired as curator of archaeology at the Arizona State Museum in Tucson in 2002. 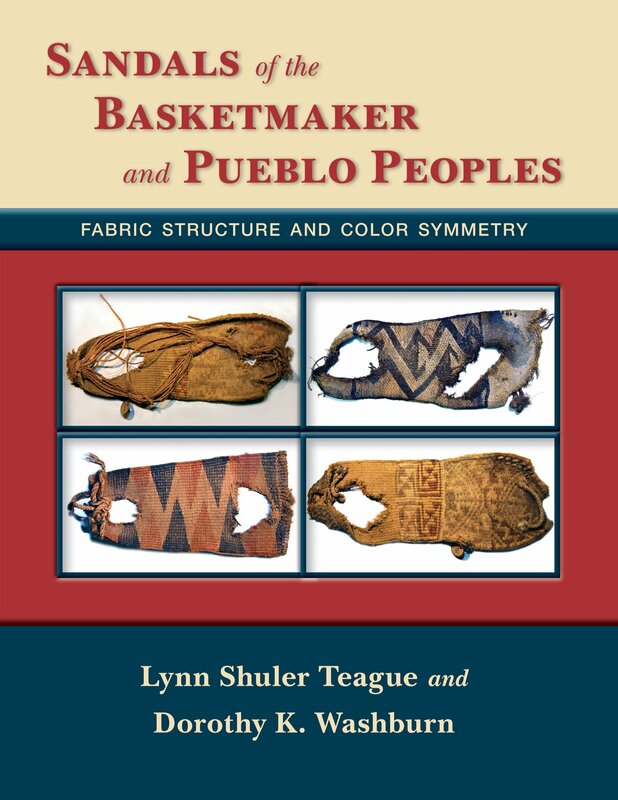 She is also the author of Textiles in Southwestern Prehistory (UNM Press, 1998).